Here at ChiIL Live Shows, we've adored Windy City Playhouse since they first opened their doors. Their stellar productions, comfortable swivel seating and drink tables in the front section, and their cozy bar space up front, make for a fabulous night out year round. This is the future of successful storefront theatre. We'll be out for the press opening this coming Thursday, so check back soon for our full review. 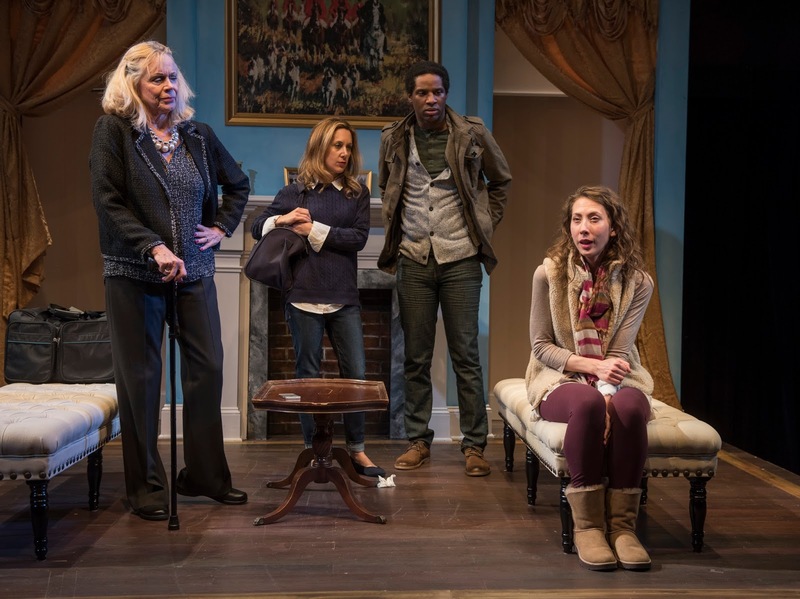 Previews continue this weekend for Gina Gionfriddo’s “Becky Shaw,” playing now through November 12. Under the direction of Jeff Award winner Scott Weinstein, the dark “ferociously funny” (The New York Times) comedy stars Carley Cornelius as the titular character, an emotionally-fragile single woman swept up in the chaos of a blind-date gone array. The cast of “Becky Shaw” also features Michael Doonan as Max Garrett, Suzanne Petri as Susan Slater, Michael Aaron Pogue as Andrew Porter and Amy Rubenstein as Suzanna Slater. Tickets ($15-$55) are on sale now and can be purchased at the Windy City Playhouse Box Office online or by calling the Box Office at (773) 891-8985. The cast of “Becky Shaw” includes Carley Cornelius as Becky Shaw, Michael Doonan as Max Garrett, Suzanne Petri as Susan Slater, Michael Aaron Pogue as Andrew Porter and Amy Rubenstein as Suzanna Slater. Windy City Playhouse’s intimate venue aims to make audience members part of the action. Scenic designer for “Becky Shaw” Jeffrey Kmiec has conceived a uniquely immersive, 360-degree viewing experience to make viewing as exclusive as possible. 70 of Windy City Playhouse’s signature club chair-style seats will be integrated into the three-stage modular set that will transform each night into seven unique locations. 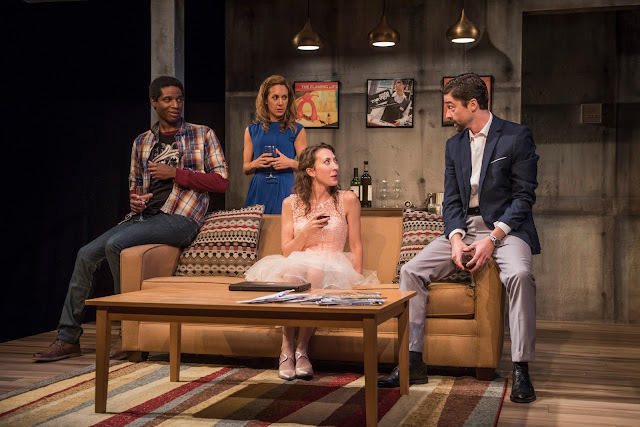 In conjunction with “Becky Shaw,” Windy City Playhouse’s Talkback series offers patrons an intimate Q&A experience with an array of artists to learn more about the creative process behind each production. The series begins with Chicago-based Matchmaker “Stef in the City” Stef Safran, who will lead the discussion on the modern world of dating immediately following the 2 p.m. performance on Sunday, October 1. In addition, audiences have the rare opportunity to sit down with “Becky Shaw” director Scott Weinstein following the 3 p.m. performance on Sunday, October 15 to talk about the production from his unique perspective. All talkbacks are complimentary for Windy City Playhouse patrons; no sign-up is required. 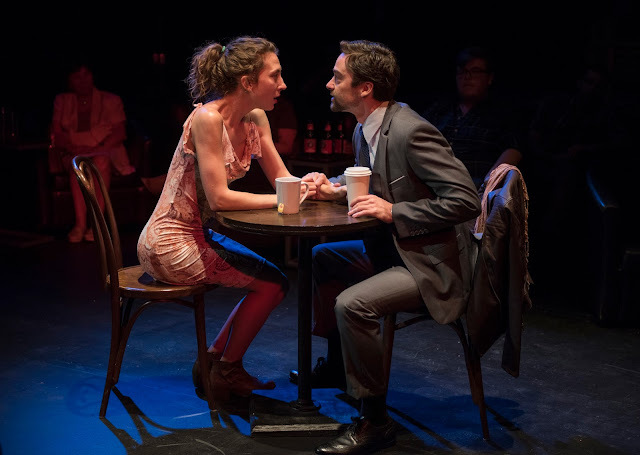 The Playhouse continues the weekly post-performance Nightcap series, inviting patrons to grab a drink at the bar and partake in an intimate discussion around “Becky Shaw” with a member of the cast or creative team. The series takes place every Wednesday and Thursday at 9:30 p.m. through the duration of the run. For the complete schedule of special events at the Playhouse, visit WindyCityPlayhouse.com/Becky-Shaw. Also new at the bar, Windy City Playhouse has partnered with JR Bakery to provide organic sweets such as carrot cake, chocolate decadence cake, red velvet cake, chocolate chip cheesecake and chocolate dipped cheesecake pops for theatre patrons. For the complete beer, wine and cocktail menu, click here. The Playhouse has just announced its newest program, Monday Mixers, beginning on October 9 at 7 p.m. (cocktails begin at 6:30 p.m.) and continuing on every Monday throughout the run of “Becky Shaw.” Monday Mixers feature a curated list of headliners performing everything from sketch to standup, singer-songwriters to spoken word with a full bar available to those who attend. Tickets are $5 in advance or $10 at the door. The performance schedule for “Becky Shaw” is as follows: Wednesdays and Thursdays at 7:30 p.m., Fridays and Saturdays at 8 p.m., and Sundays at 3 p.m. For a detailed performance schedule visit WindyCityPlayhouse.com/Becky-Shaw. Tickets for “Becky Shaw” are on sale now and range from $15-$55—with discounts available for seniors and students—and can be purchased by calling 773-891-8985 or visiting WindyCityPlayhouse.com. The creative team for “Becky Shaw” includes Jeffrey D. Kmiec (Scenic Design), Rachel M. Sypniewski (Costume Design), Brandon Wardell (Lighting Design), Eric Backus (Sound Design) and Jamie Karas (Properties Design). Mara Filler is the Production Stage Manager and Johnnie Schleyer is the Technical Director.